Short Business Description: IBNA Spoon River Real Estate has been in the Real Estate business since 1968 in Rockland County. We are members of The Greater Hudson Valley MLS as well as the NYS and National Association of Realtors. We are a family owned Boutique specializing in residential sales, however, we handle Commercial, property management, rentals, investments and new construction. We take great pride in our relationship with customers and clients. IBNA Spoon River is a privately owned boutique real estate corporation we specialize in residential sales and rentals however, we do handle commercial, new construction and all other aspects of the Real Estate business. We have been in business for 50years, taking great pride in personal service to all our customers and clients and dedication to our community. A local real estate agent at IBNA Spoon River Real Estate, member of the Riggio‘s deli team and an intern at transmissions developer Inc.. I’m a new voice doing good for local community. We are an Independent Insurance Agency that is affiliate of Rand Realty/Better Home and Gardens. We specialize in servicing the North Rockland Community with regards to Personal Insurance: Home, Auto, Renters and Commercial Insurance: Business, Contracters, etc..
Hudson Valley Insurance Brokerage, Inc. prides itself on being your local, full service, Independent Insurance Agency. From personal lines such as homeowners, auto and liability insurance to commercial lines protecting virtually any type of business, our agents can craft a custom-built policy to suit your needs. Because we are both local and independent, we are able to provide exceptional personalized service and a wide choice of insurance company options, programs and prices. IBNA Spoon River Real Estate has been in the Real Estate business since 1968 in Rockland County. We are members of The Greater Hudson Valley MLS as well as the NYS and National Association of Realtors. We are a family owned Boutique specializing in residential sales, however, we handle Commercial, property management, rentals, investments and new construction. We take great pride in our relationship with customers and clients. Looking for a great cup of coffee. Maybe a latte? Well It’s Coffee is just the place. A great coffee shop located right in Stony Point. 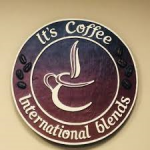 Come try some of our amazing International Blends and flavors.